Вам предстоит узнать тайну Меченого и осмотреть все достопримечательности Чернобыля. S.T.A.L.K.E.R. Shadow of Chernobyl-VRstudio(v1-0001) 54 р. S.T.A.L.K.E.R. 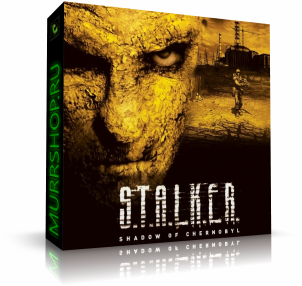 : Shadow of Chernobyl Steam&GOG RegFree 149 р. S.T.A.L.K.E.R. : Shadow of Chernobyl (steam key RU,CIS) 299 р. S.T.A.L.K.E.R. : Shadow of Chernobyl (Steam | Region Free) 300 р. S.T.A.L.K.E.R. : Shadow of Chernobyl (Worldwide / Steam) 399 р. S.T.A.L.K.E.R. : Shadow of Chernobyl (Steam Gift | RU) 510 р. S.T.A.L.K.E.R. : Shadow of Chernobyl Steam Gift RegFree 599 р.